Moving into a new manufacturing facility in August, Exactaform Cutting Tools Ltd now occupies one of the UK’s largest cutting tool facilities. The state-of-the-art 44,000sq/ft beacon of modern manufacturing is credit to the innovation and determination of the staff. 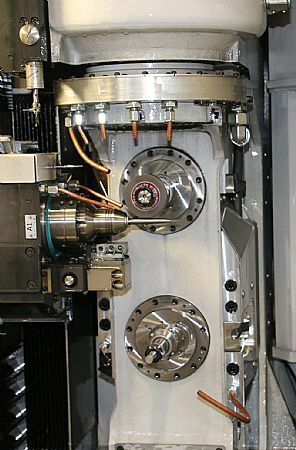 However, the creative cutting tool designs and production output wouldn’t have been possible without the banks of highly automated Vollmer grinding and erosion machines. 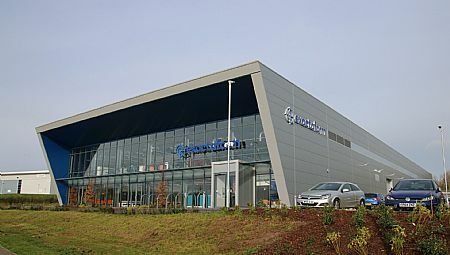 Located near Coventry, the £5.8m facility is home to 12 Vollmer machines that include six Vollmer QWD750H, three QXD200, a QXD250, a QWD760 and now the next generation Vgrind 160. 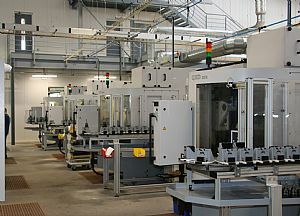 In 2012, Exactaform reported annual growth in the region of 25% as its then seven Vollmer machines were running up to 158 hours out of a possible 168 hours in a week. This level of automation and company growth has continued over the last five years with staff levels rising from 13 to 63 and turnover almost quadrupling from £2m to £7m. Historically, Exactaform has laid 95% of its eggs in the aerospace basket. However, as the benefits of advanced material technology such as CFRP has filtered through the manufacturing industry, the customer base has shifted. Now, the breakdown is 60% aerospace tooling with the remaining 40% absorbed by the automotive and F1 industries. Exactaform recently developed its latest line of cutting tools, the Aero-Carb Diamond Coated 2 and 4-fluted end mills for advanced composite machining and also the Aero-Ti line of end mills for titanium and aerospace alloy machining. Aiming to ramp up production volumes, Exactaform wanted to improve its production efficiency. The answer was the Vgrind 160. 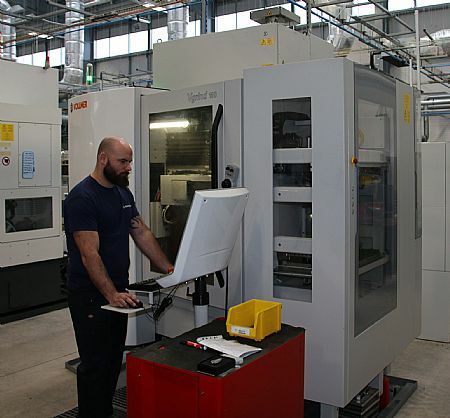 Whilst Exactaform were fully aware of the new innovations behind the new Vgrind 160 prior to purchase, the company couldn’t fully comprehend the benefits in any quantifiable form until the machine was on the shop floor and running. It has exceeded expectations in every department. One new feature on the 5-axis Vgrind 160 that appealed to Exactaform is the V-shaped seating pallet loading system. This enables Exactaform to load tools from 6 to 16mm diameter shanks (20mm pallets available) in two pallets that accommodate up to 56 tools. The flexibility means the operator can easily load a complete variety of tool diameters and geometry designations and the Vgrind will process all tools in a single set-up. On alternate machines without this V-shaped pallet seating, the operators would have to process batches of tools with the same shank diameter and then undertake a pallet changeover time of 15 minutes for every tool diameter change. The flexibility of the pallet loader and its huge savings is the epitome of the construction of the new Vgrind 160, something that is also instilled in the vertical column with two grinding stations. The two-wheel configuration instigates fewer wheel changes whilst the kinematics of the CAM driven C-axis head with +15 to -200 degree rotation reduces the distance from the wheel to the tool. Something that Exactaform confirms can reduce cycle times by up to 10% on every tool. “The flexibility of the two-spindle column means we can flute and pocket our tools in a single set-up. On our other grinding centres, this would be two separate operations taking over one hour with the addition of changeover and set-up times. Now, we can complete a tool on the Vgrind 160 in just 18 minutes with just one set-up. This is a massive cycle time saving of 75%. It also streamlines our workflow,” continues Mr White. The Vgrind 160 also incorporates a HPC system that delivers coolant at 20bar pressure through adjustable copper pipes. The 20bar pressure directed at the wheel and tool through a multitude of pipes creates a ‘break boundary layer’ between the tool and the grinding wheel. The high pressure coolant helps to break through the boundary layer and disrupt this thermodynamic process, enabling better grinding. It also retains wheel sharpness and enables the Vgrind to perform grinding and fluting significantly faster than its predecessors. Exactaform has identified that wheel life has been extended by over 35% when compared to alternate machines. “Overall, the Vgrind 160 has been an astute investment. The productivity savings, the consumable savings, the set-up and changeover reductions and the reduced programming times are all on a scale that are making a massive difference to our business. Vollmer has certainly set the bar high with the Vgrind,” concludes Mr White.